The opening day of our PLAY 2012 global customer conference included an afternoon “fireside chat” featuring Jim Breyer, Partner at Accel and President of Accel Management Company; Erick Schonfeld, technology journalist and former Editor-in-Chief of TechCrunch; and Brightcove Chairman and CEO, Jeremy Allaire. During the conversation, the three industry luminaries shared compelling insights on everything from the shift of resources to mobile marketing and apps, the ideal dual-screen app, what content is most valuable, and much more. In his initial comments, Breyer stressed that any media organization, whether it’s a newspaper, magazine, film company or television network, not making a concerted effort to invest significantly in building social applications and conducting social outreach runs an enormous risk of being marginalized in the next three to five years. For any type of next-generation content marketing, social, mobile and video have to be part of the strategic plan. 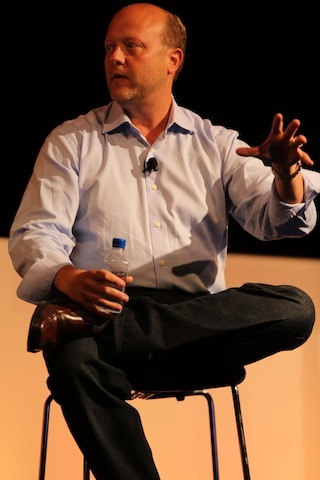 Jeremy Allaire said TV apps represent a new palette for advertisers and marketers. Allaire expressed surprise that more organizations don’t take advantage of Facebook’s open platform to easily repurpose their marketing efforts for social applications. “It amazes me that more companies aren’t taking what they already do for their own online destinations and branded sites and injecting it onto Facebook pages and apps, given the velocity of activity and user interest in that distribution platform,” he noted. Breyer then noted that numerous start-ups are developing next-generation optimization tools that will allow large brand advertisers to measure the value of social advertising and what it might mean to advertise in video on mobile platforms worldwide. 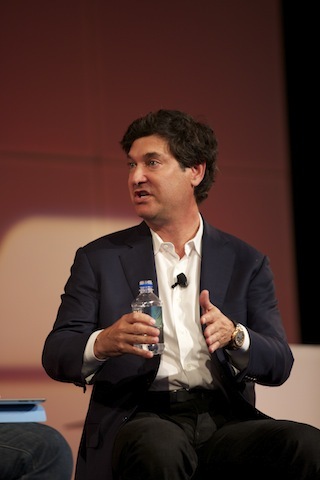 Organizations not making significant investments in social and mobile risk being marginalized, according to Jim Breyer. As the conversation shifted to the value of content versus distribution, Breyer suggested that “precious, good content” is already valuable and will be even more so in the future, partly due to partnerships between technology companies and system operators. Integrated TV platforms, whether by way of Apple or others, will offer seamless experiences that are much improved thanks to deep partnerships with cable and satellite operators. Breyer added that those same partnerships, from his investment opinion, will present an enormous opportunity to deliver high-quality content more economically than ever before. Ultimately, it will be the great customer experiences that will receive a significant level of the overall economic pie. “Apple is probably headed very much in the right direction,” Breyer said when Schonfeld asked what he would like to see if he were on the Apple’s board and could help drive the ideal dual-screen experience. Seamless integration into iPad and iPhone is “extremely powerful,” as is the ability to offer an app-like experience that helps users avoid navigating through 500 channels to get to the 20-25 they care about. He also feels Apple will make the remote control experience far simpler by leveraging Siri and some of its other technologies. Erick Schonfeld wondered if pay TV's bundling model can ever be broken. So what will consumers pay for and care about? Live sports, says Breyer, and particularly those sports that take place week-to-week within seasons rather than once every four years like the Olympics or World Cup. He offered an anecdote from Facebook (where he is a board member) during which he observed people watching a 49ers vs. Giants football game spending as much time on their mobile devices sharing thoughts and conversation as they did watching the game. Instead, Allaire said that companies like Apple can continue to offer its user experience on top of broadcast television until it reaches a scale with its app platform that can be leveraged to affect change. As Apple continues to expand its growing platform to the TV and it reaches economies of scale in device numbers, the tech giant will be able to drive deals that make the repackaging and re-pricing of content viable for the consumer. A question from the audience opened the doors to a discussion around online video advertising, which Allaire said has not changed dramatically since Brightcove’s launch in 2005. “Seven years later we’re barely beyond straight video commercials in video ad pods,” Allaire explained. “There’s been some experimentation but it’s still a very constrained experience,” which he said leaves enormous room for innovation and opportunity. One of the keys to unlocking value is to turn over advertising inventory to networks with the ability to deeply target based on the social graph. 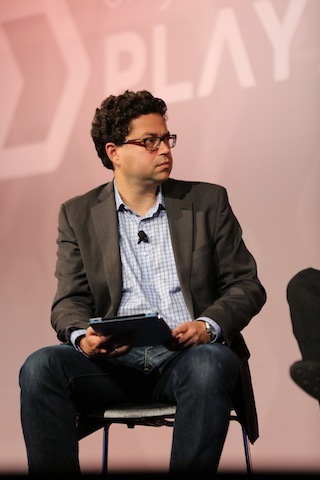 Watch the fireside chat from PLAY 2012 in its entirety above.